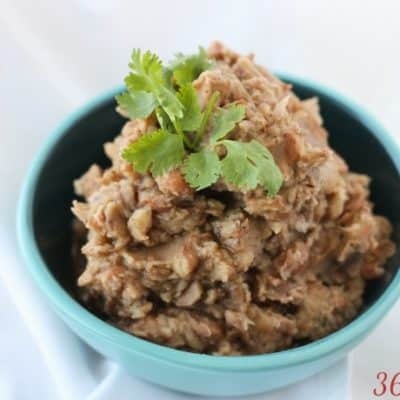 These Crockpot Refried Beans are SO good (even if they aren’t actually “re-fried.” Make them in the slow cooker or the pressure cooker and the whole house smells amazing! So guess what? I discovered that you can eat refried beans that don’t come from a can! 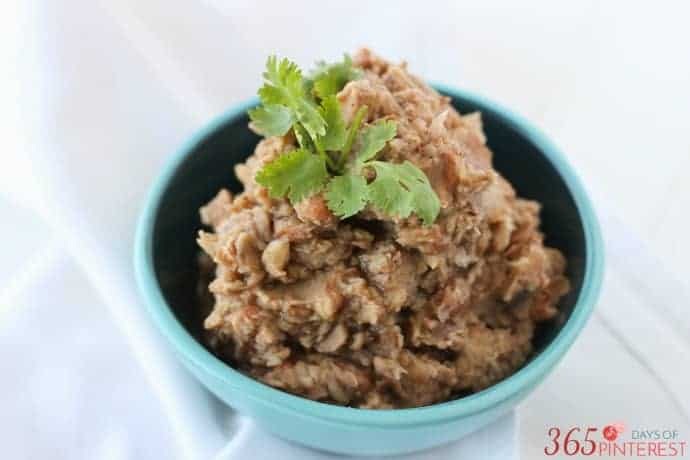 You can make a big batch of crockpot refried beans that taste delicious and are WAY cheaper than buying a can of Rosarita’s. We had Creamy Chicken Taquitos the other night, and I served them with some rice and these beans. These turned out so well, I may even take it another step and can them next time. Or at the very least, make a double batch and just freeze a few containers! I used a recipe from Six Sisters’ Stuff as my starting point for these beans. I just adjusted a little so I didn’t make such a huge batch and played with some of the flavors just a touch. This recipe will yield 5 cups of mashed (and delicious) beans. We like it so much, I have a double batch in the slow cooker right now! I plan to freeze a couple containers and we’ll gobble up the rest in various Mexican dishes over the next week or so. 🙂 I’ve also made the recipe in my Crockpot Express and I love how quickly I can have homemade refried beans on the table. Either way, these are a winner! 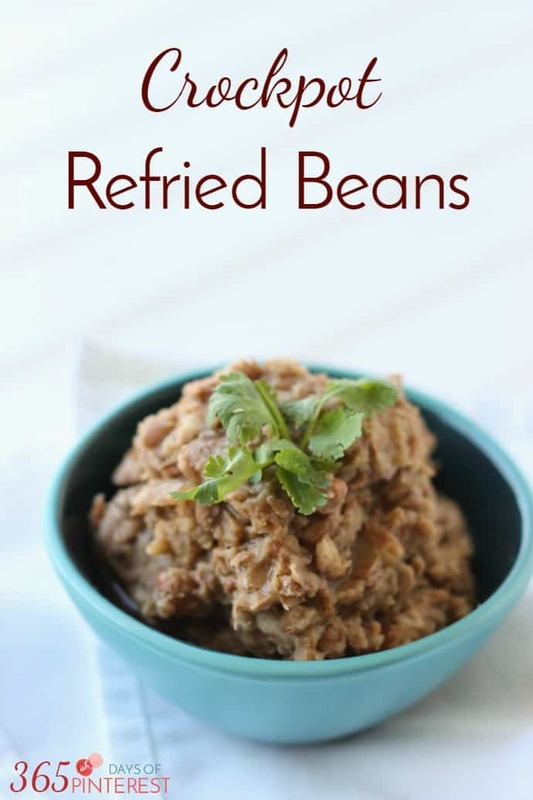 These Crockpot Refried Beans are SO good (even if they aren't actually "re-fried." Make them in the slow cooker or the pressure cooker and the whole house smells amazing! Place everything in the crockpot and stir to combine. Cook on High for 6-8 hours. (Mine were done by 6 hours but dinner wasn't ready, so I left them in there-you're just going to mush them up anyway) 🙂 If the liquid seems low while you're cooking, just add a little extra chicken stock or water. Add all the ingredients to the pot, press Beans/Chili and adjust time to 50 minutes. Allow a natural pressure release when cook time is up. Transfer to another bowl and follow instructions above for mashing. Store beans in an airtight container in the refrigerator. 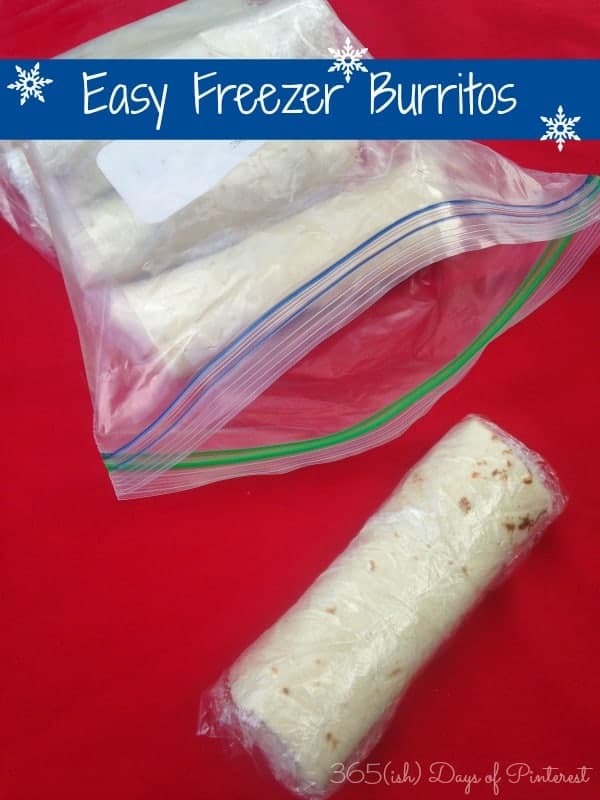 You can also freeze them in one cup portions for use later! This recipe sounds delicious and I’m looking forward to trying it. One question: did you remove the jalepeno along with the onion before mashing? I made this today & it was actually amazing without even having to mush up the beans! Reminds me of the bean side dishes that southern restaurants serve, but much much yummier! I used homemade chicken broth. I will be using this recipe lots more in the future! Thank you for coming back to tell us about it! I love it when I hear back from readers- especially when it’s positive 🙂 The homemade chicken broth sounds delicious! My sons LOVE bean burritos. It’s almost to the point of needing an intervention. 😉 Gonna be trying this recipe very soon – dried beans are so much cheaper, it’s a shame I haven’t been making these all along. 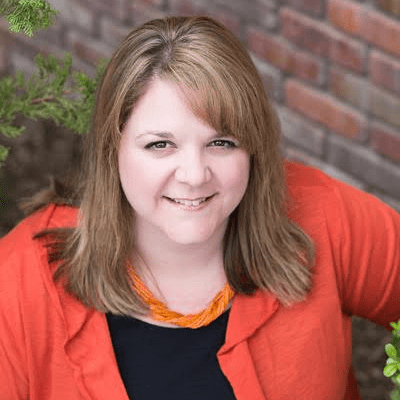 Pinning right now, thanks for sharing at #GetHimFed Fridays! I just finished the leftovers yesterday! They last a long time and taste delicious! I added a tablespoon of water while reheating to get the right consistency again. Hope you like them!